What do we immediately think of when Turkey is mentioned? It might be Turkish Delight, kebabs or even belly dancing but I’m betting that Turkish coffee is in there somewhere! 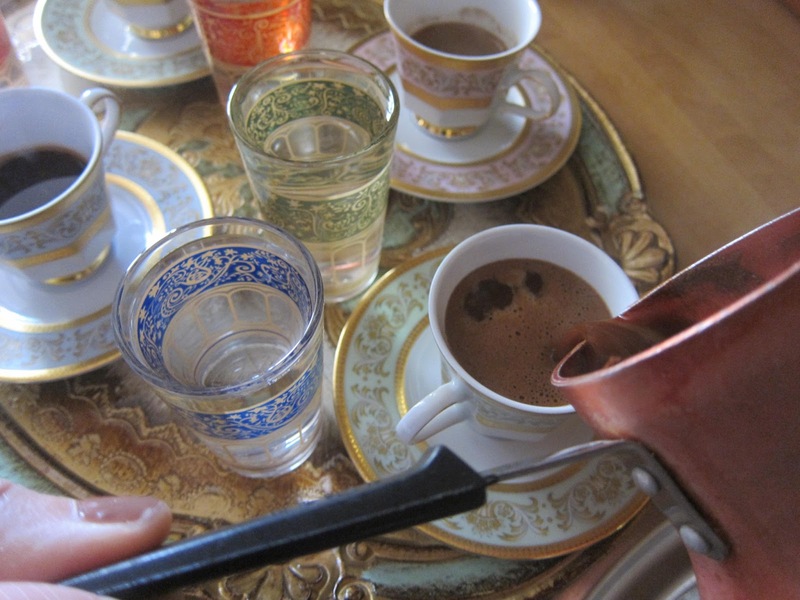 I am more of a çay fan myself but I love the attendant rituals of both Turkish tea and Turkish coffee. Neither of them are for people on the run but oh how much more enjoyable they are when you have to observe the time-honoured ways of preparing them! I hate teabags and equally the concept of instant coffee is just not the same thing. Nowadays we can find all kinds of coffee here in Istanbul: cappucino, americano, filter and variations of all these, but Turkish coffee is really the drink of choice when you live here. Not that we drink it all the time, after all it is strong stuff. 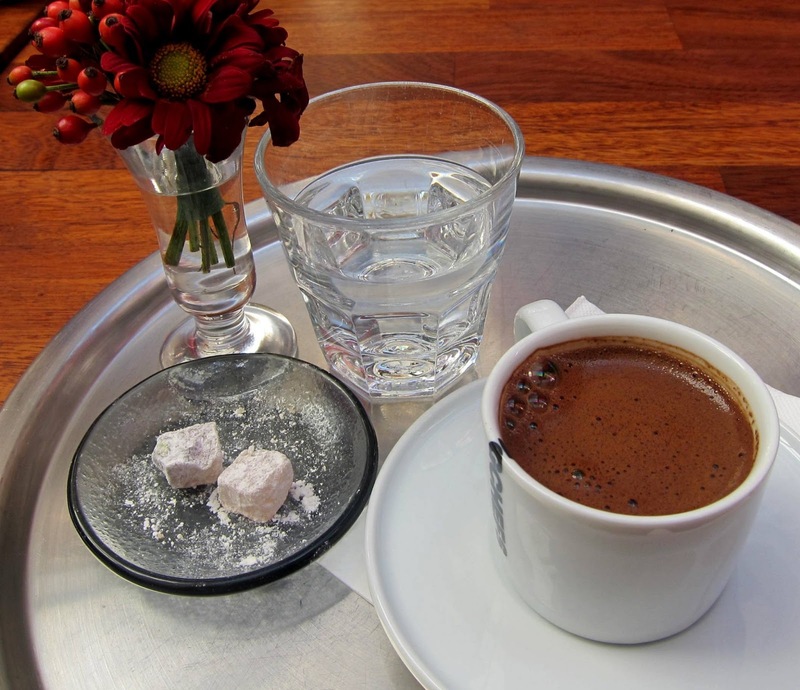 But mid-morning, after lunch or dinner, a cup of Turkish coffee is something to be deeply savoured and enjoyed. Mark you, you only get a few sips before you come to the bitter grounds and that is where you stop. 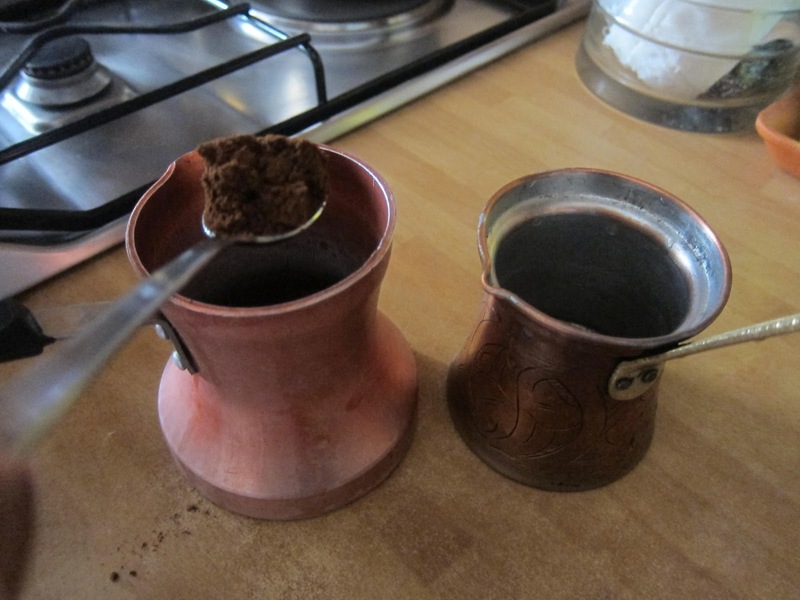 Turkish coffee is unique in that it’s the only coffee not to be strained or filtered. It’s also unique in that it’s the only coffee that can be boiled and that isn’t sweetened after it’s poured. 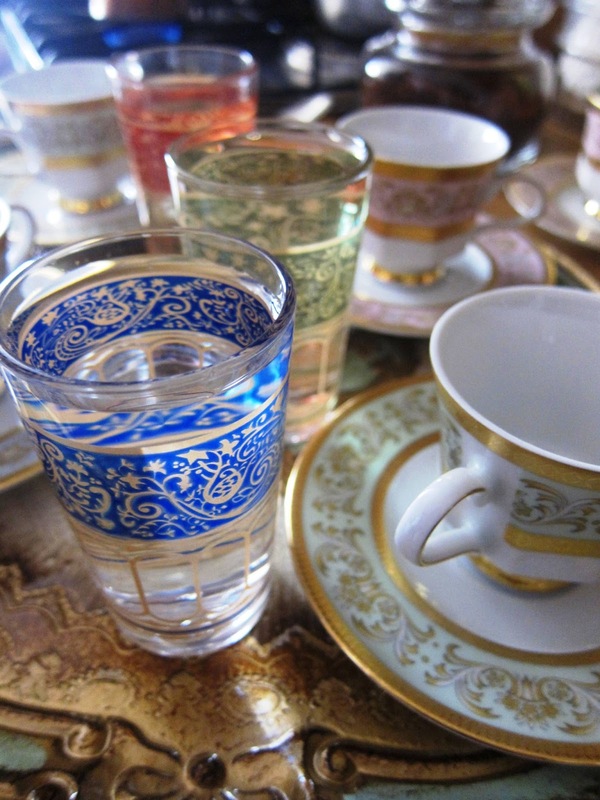 If you have it in a restaurant, it will come with a glass of water which is drunk before the coffee to clear the palate, and an accompanying little piece of lokum/Turkish delight, or a kürabiye/cookie, just to heighten the pleasure. 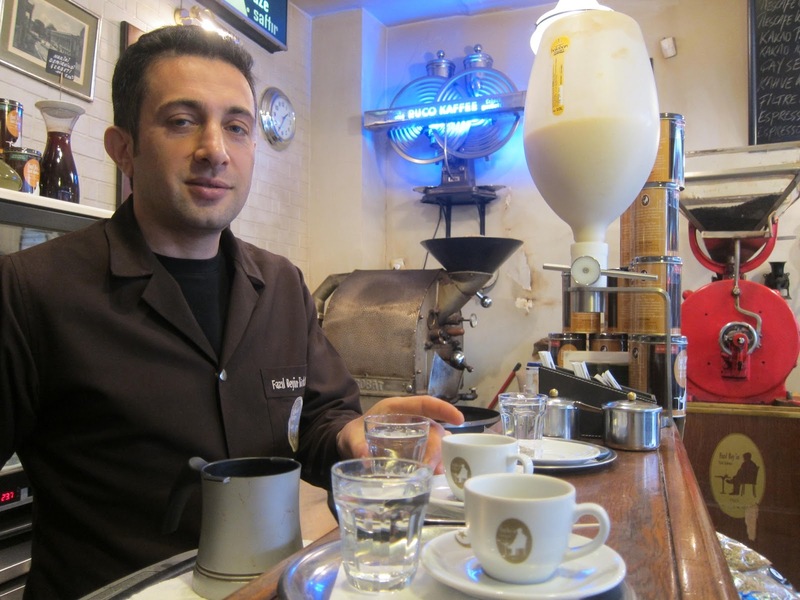 Probably the best-known place to buy the ground coffee is Kurukahveci Mehmet Efendi located in Eminönü right beside the Spice Bazaar. You can’t miss it: as you approach, the tantalizing smell of roasted coffee beans wafts towards you and draws you irresistibly closer. The shop itself isn’t big but more often than not, you will spy a queue a mile long. There are always people buying either the ground beans or coffee for filter or espresso and the queue lengthens before a holiday or bayram. Now, the ritual of making or ordering Turkish coffee starts immediately as you have to declare your preferred level of sweetness: şekerli/sweet; orta/medium; az şekerli/ a little sugar; and sade which means no sugar. All you need is a cezve (pron: jez/veh) an attractive little pan with a long handle, often made of copper which comes in different sizes: one-cup all the way up to four or so. You probably wouldn’t want to make more than four cups at one time anyway. You measure one pretty heaped spoonful of the finely ground coffee directly into the cezve, then you add however much sugar you require. Measure out the amount of cold water per cup you need and add. Put the pan on the gas and then mix with either a small whisk, or a fork will do. Then watch that pan like a hawk as it will come to the boil quickly and will froth over if you don’t watch out. So watch the froth rise steadily to the top and then quickly remove from the gas. Share out the frothy foam into the waiting cups and replace on the gas for a second time. 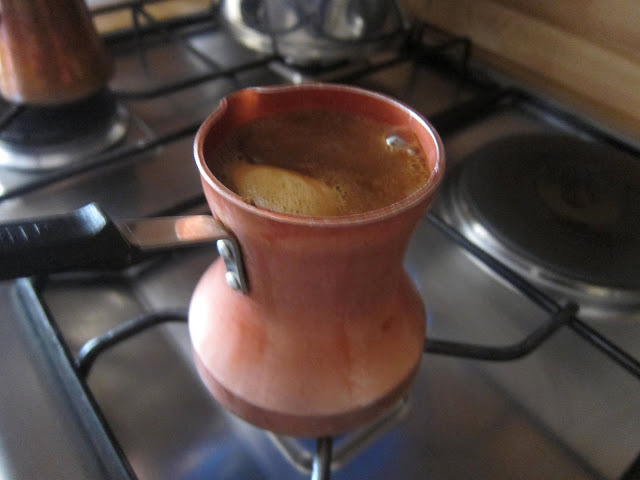 When it rises once again, this is it, your Turkish coffee is ready. Distribute it amongst the waiting cups and serve. Apparently the mark of a good cup of coffee lies in the froth! 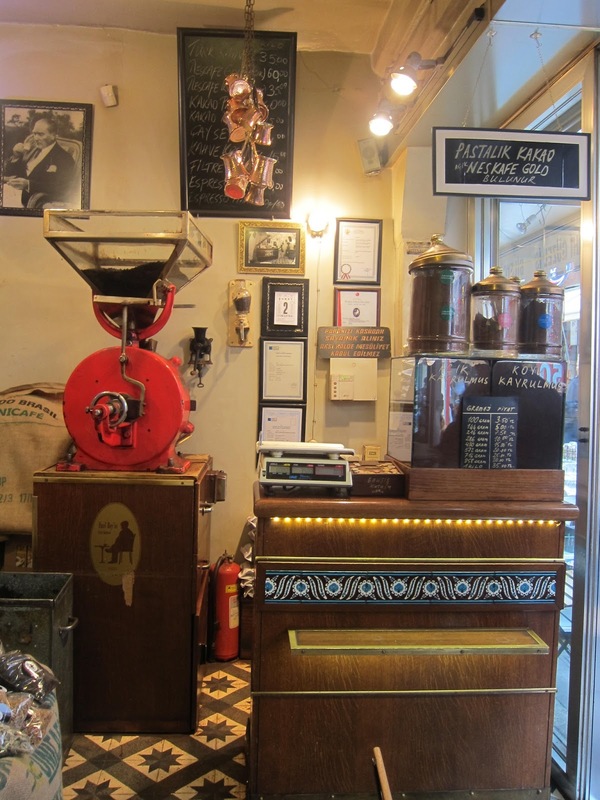 Kadıköy on the Asian side has some wonderful authentic places in which to enjoy a good cup of Turkish coffee and Fazıl Bey‘s is one of them. This little café is located in the çarşı itself right in the middle of the hustle and bustle so it’s always busy not to mention easy to find. You can see how all the old coffee grinders have been carefully preserved and are indeed well used to this day! 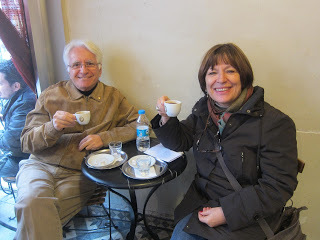 and here’s TT and me enjoying a cup of Fazıl Bey’s coffee recently! BTW, did you know that coffee was introduced to Istanbul (Constantinople) in the 16th Century by an Ottoman governor who had been posted to the Yemen during the reign of Suleyman the Magnificent? It soon became a vital part of palace cuisine and was extremely popular – so popular that the position of Chief Coffee Maker was added to the roster of functionaries! I love that little fact! 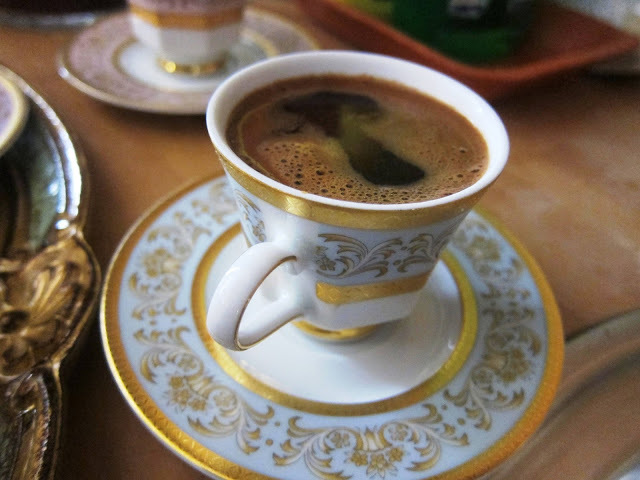 And finally: a time-honoured custom after drinking Turkish coffee is to place the saucer on top of the cup and then turn the cup over and let it rest. When the grounds have cooled and settled in the cup, you are ready to have your fal or fortune read….!! i would love it but i bet it would keep me up all night! Making coffee is really an art form. There is a place in Seattle than makes double filtered coffee on a Bunsen burner type contraption. The best coffee I have had to date, perhaps just because it is the way I like my coffee, which is weak.It is interesting to learn how others do it. Love this post Claudia! I've taken a ton of photos in the Eminonu area and have always planned to do a Turkish coffee photo post. 🙂 Someday! 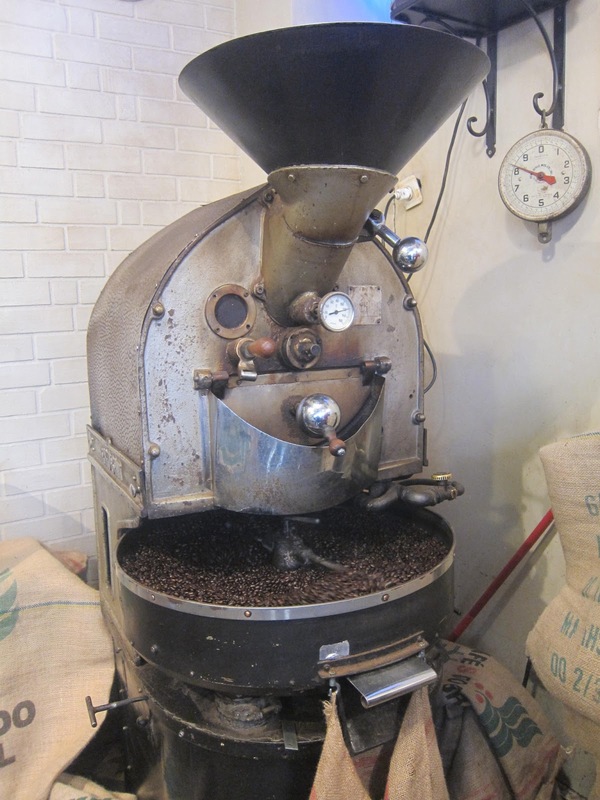 I love the smell of freshly ground coffee beans on the streets. 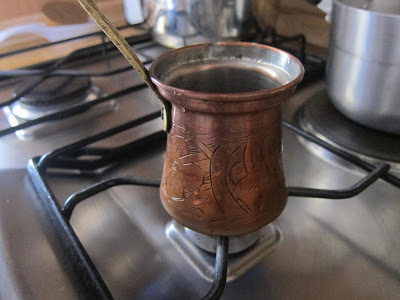 I'm not a huge fan of Turkish coffee, but have enjoyed now and then and particularly like the history behind it. PS It was done this way as there was no other way to do in those dark communist times. PPS I am trying to post with my wordpress openID but for some reason it is not accepted by blogspot. May I add one thing. Be carefull with that fortune reading. Me and my two other friends have been kicked out of Fazil Bey's for doing this a week ago. The guy who ran this place this day came to our table, started yelling at us about police, reports, etc. and basically told us to leave. Well, that's a nice thing to say, Maddie!!!!! Thank you!! This is great, Claudia. I have already copied it into my recipes file. Just one question, however. Do I use one heaped teaspoon of coffee for every cup I want to make, or one teaspoon for anywhere from 1 to 4 cups? Thanks! Hi Sue! 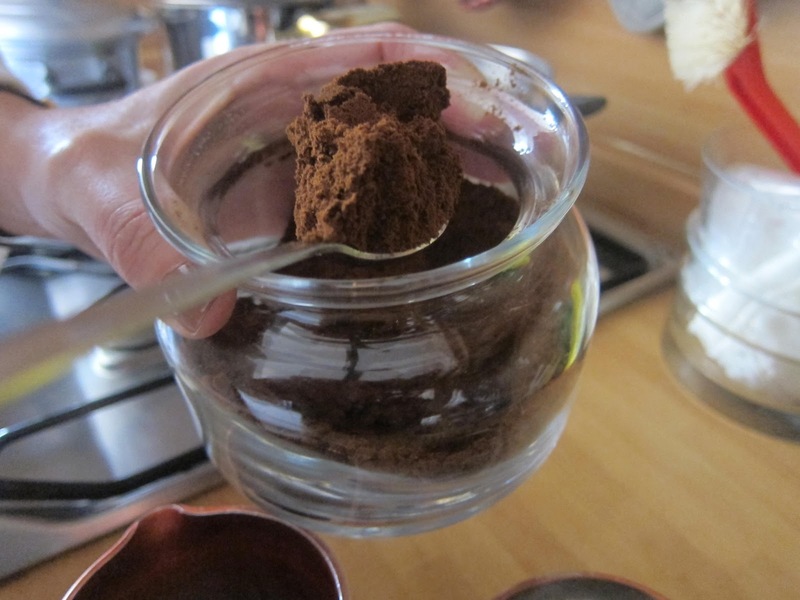 It's one heaped tsp for every cup that you are making so it's actually quite a lot of coffee! Enjoy! I recently read somewhere that boiled coffee (which was referred to annoyingly as Greek with no mention of Turkey) is much better for you than filtered. I must find the article. Yes, and let us know! Claudia, I wish I had read your recipe before having to go on line to learn how to make it and being a bit discouraged with how complicated they made it sound. Your photos are really wonderful and I love the photos of you and TT enjoying your coffee. You both look terrific (and slim, too). What a lovely post! 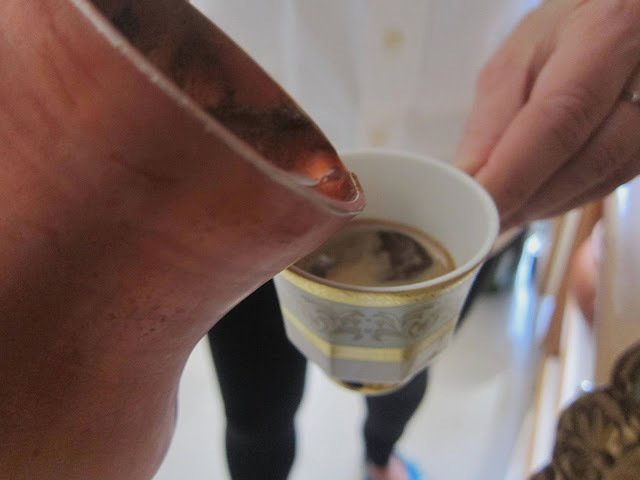 I love making, and drinking, Turkish coffee.